A slipped disc is when a soft cushion of tissue between the bones in your spine pushes out of its position. It’s often painful, as it usually presses on nerves. It can sometimes slowly get better with rest, gentle exercise and painkillers. But the best form of treatment is often osteopathic care, which the back pain clinic can provide. Do you have a slipped disk? This is a particularly difficult area to treat successfully. 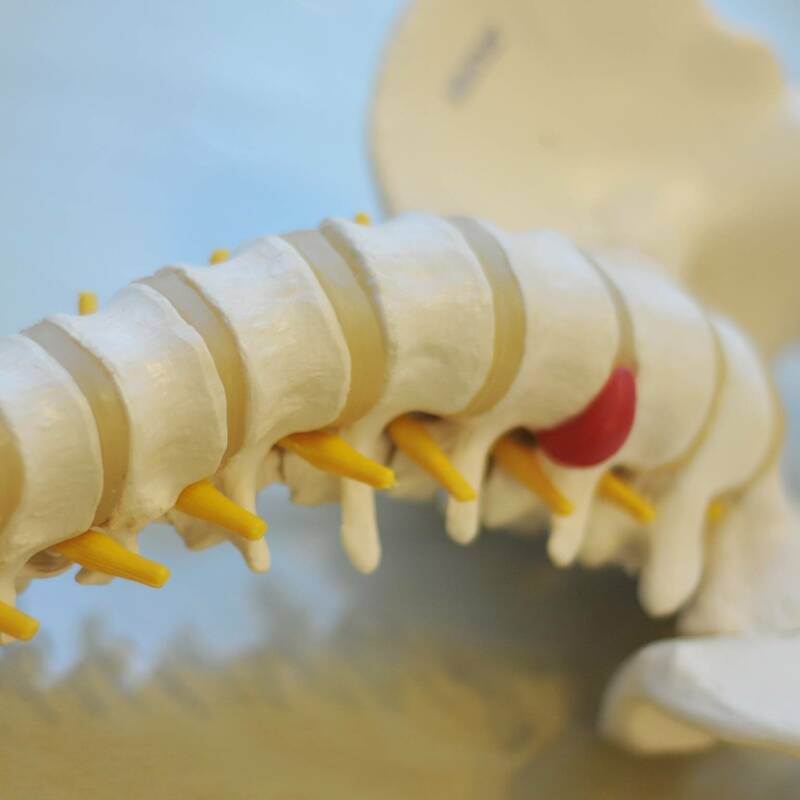 Separating each spinal bone, or vertebra, is soft tissue called a disc. This special, fibrous outer ring contains a jelly-like material which acts as a pivot for joint movement. The soft centred area cannot actually slip due to the way it is attached to the above and below vertebrae. However the disk can bulge, tear, herniate, thin, prolapse or dry out. A thorough osteopathic examination by the back pain clinic can help determine if the discs in the spine are the cause of your pain. Many of our patients have experienced have disc damage and do not know about it until something as simple as turning around, sneezing or tying their shoelaces. A simple movement often leads to acute pain. Osteopathic treatment is very effective in helping your body to recover well and quickly from a slipped disk. Most people chose to then continue their care with us, thereby avoiding any further damage and maintaining a healthy body.